The Red Skull has exploited the gifts of the world's greatest telepath to broadcast pure hatred across the globe. 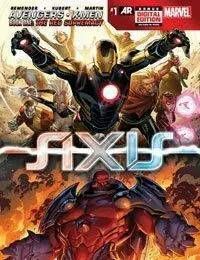 Now, born of the murder of Charles Xavier, World War Hate has begun.Tony Stark discovers a secret truth that will upend not only his life, but also the lives of everyone he cares for.Can The Avengers and X-Men finally unite? Would their combined strength be enough to hold back the darkness of the Red Onslaught?